The variable adjustment provides continuous support and prevent your legs and back from tiring and it is available with bases which have a 360° swivel. The base is produced in laminated, stained wood which gives it an elegant character. You can choose between two different bases. The chair is available in two sizes, small and large. Footstool is also available. 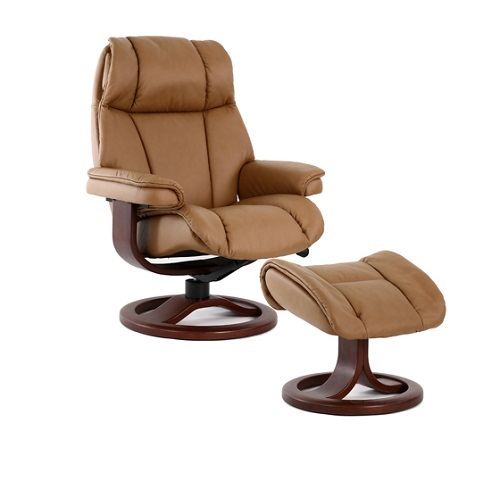 The Ulstein Recliner is Fjords Swing Relaxer that is a great option for anyones home. The Bergen Recliner is part of Fjords comfort collection that is one of the most ergonomic and supportive collections available on the market.